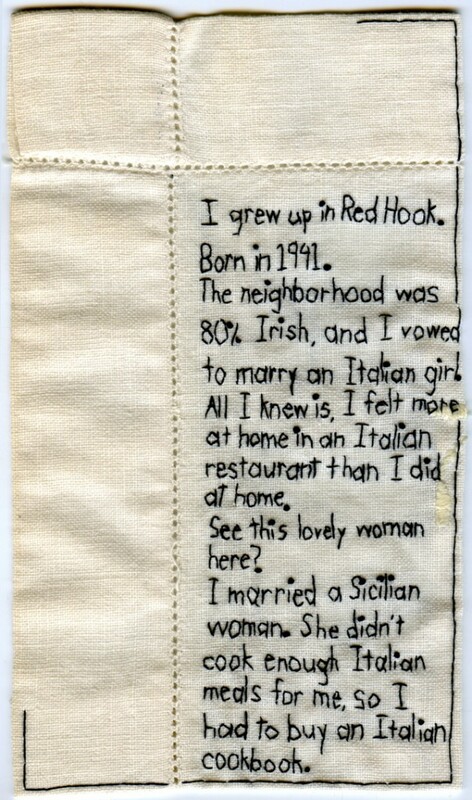 “Red Hook.” 2011. Part of the Brooklyn Love Exchange. Embroidery on fabric. 72.x4.28″.